PHILADELPHIA, PA– Southern Land Company has announced that The Laurel has sold 25 percent of units in the 48-story luxury residential tower, just three months after breaking ground ahead of schedule in fall 2018. In addition, the project has selected a debt consolidation partner and is slated to close on the transaction in spring 2019. 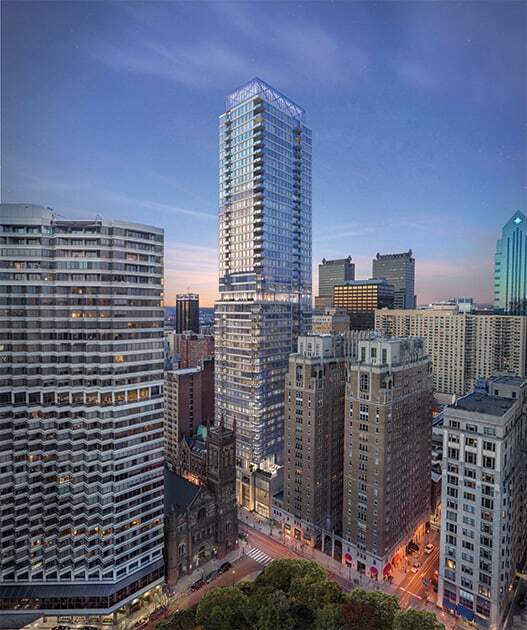 The Laurel is the last undeveloped parcel on Rittenhouse Square, and once completed, will be the tallest all-residential building in Philadelphia. Construction of the luxury tower is also moving ahead of schedule. With site utility work currently nearing completion, construction of the foundation is expected to begin in March 2019. The Laurel is scheduled to start deliveries in 2021. Designed by Solomon Cordwell Buenz, the $300 million, ultra-luxury mixed use tower will include condominium residences in addition to long and short term residences with separate lobbies and entrances. The project also includes the preservation of the adjoining historic Warwick Apartments and Rittenhouse Coffee Shop. Based on demand for larger residences, the condominium count has been reduced from 74 to 60. The Laurel will also feature 24,000 square feet of high-end retail that wraps around Walnut, Sansom, and 20th Streets. The floor plan features expansive corner residences, offering unparalleled panoramic views of the City and the eponymous park. Residents of The Laurel will enjoy white glove amenities including valet parking, indoor pool and hot tub, five-star fitness center with luxury locker room, steam room and sauna, yoga and Peloton room, Club Room and terrace overlooking Rittenhouse Square with bar and catering kitchen, conference room, and dog spa. Residents can also take advantage of the rental suite for out of town guests and luxury car service. The Laurel will offer residences with prices starting around $2.5 million. Full-floor penthouses are also available. With 25 percent of units already sold, Southern Land Company is looking forward to working with interested parties about remaining units at their sales center at 1845 Walnut Street. 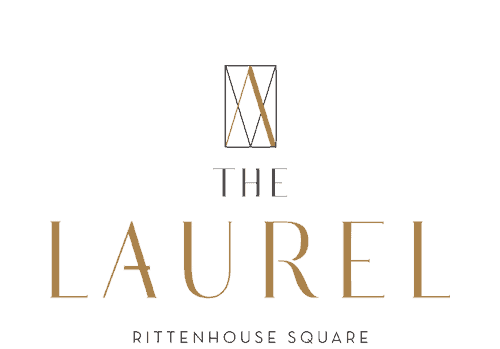 To receive project updates or make an inquiry about The Laurel, please register at www.TheLaurelRittenhouse.com. Southern Land Company builds quality communities that enhance the lives of our residents and tenants across the United States. With a comprehensive set of services that span the entire development cycle, Southern Land delivers distinctive settings where people want to live, work and shop. Founded in 1986, Southern Land is headquartered in Nashville, TN and develops properties in several key U.S. markets. For more information, please visit www.southernland.com. VISUALS ARE ARTIST’S RENDERINGS AND SUBJECT TO CHANGE. NOTE, STATED DIMENSIONS AND SQUARE FOOTAGES SHOWN ARE APPROXIMATE AND SUBJECT TO CHANGE. ALL MATTERS OF DETAIL SHOWN, INCLUDING COUNTERS, FIXTURES, APPLIANCES, FURNITURE, BUILT-INS AND OTHER ITEMS OF FINISH, ARE CONCEPTUAL ONLY. PRICES & FEATURES SUBJECT TO CHANGE WITHOUT NOTICE. OFFER VOID WHERE PROHIBITED BY LAW. BROKER COOPERATION WELCOMED. This does not constitute an offer to sell or the solicitation of an offer to purchase to residents of the States of New York or New Jersey or to residents of any other states in which registration is required but not complete.